Now medical professionals can achieve safer and more reliable sternal I/O access in 60 seconds to save lives and time with the FAST1 Training System! Nasco has designed a simulator specifically to aid in the training of adult sternal intraosseous infusion. 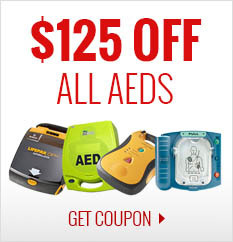 Major trauma and blood loss, shock, and other emergencies require rapid access to a patient’s blood stream. Each year, over a million attempts to place IV lines fail. The time to achieve IV access often takes over 10 minutes. Paramedics who attend emergencies often work in confusing and disrupted physical settings. In both civilian and military emergencies, the patient’s compromised status frequently defeats the attempts to gain rapid intravenous access. The solution is the Life/form Total Sternal Intraosseous Infusion Training System. Vascular access can be successfully achieved quickly in pre-hospital emergency or battlefield conditions. Intraosseous infusion (I/O) is a proven medical technique for getting drugs and fluids into the blood stream for adult patients. 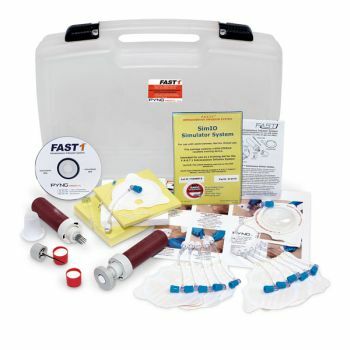 The Life/form Total Adult Sternal Intraosseous Infusion Training System includes the Adult Sternal I/O Simulator (LF04200U) and the FAST 1 Training System.